From all the roads that lead to Rome, many fashion highways run further north towards Milan, the world capital of clothing and leather fashion. Milan is considered the hotbed where novel ideas are conceived and given life to by designers possessed by a passion for taste. To feed this craving for fresh, innovative creations, the South African Ostrich Business Chamber, in collaboration with the Domus Academy, introduced master students in fashion and accessories design to South African ostrich leather. 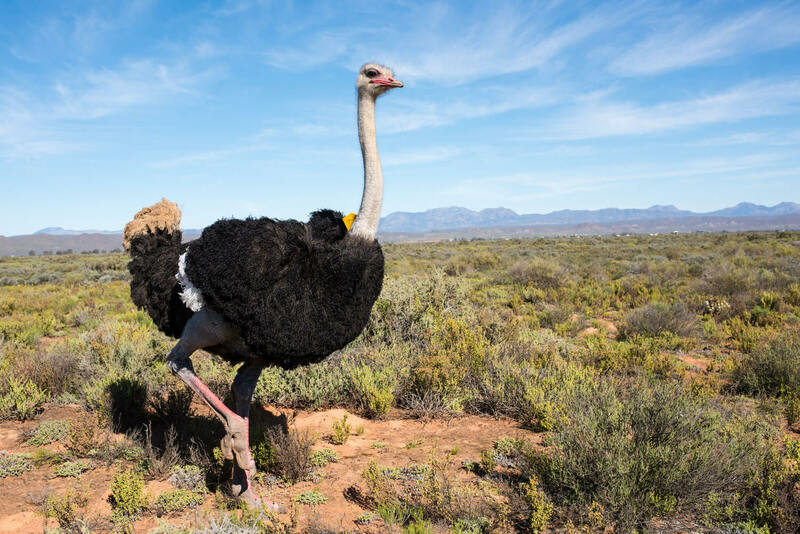 “Domus Academy is the second design school in Milan to become part of the SAOBC’s drive to introduce the next generation of designers to this precious raw material associated with pure luxury and exclusivity,” says Anton Kruger, CEO of the South African Ostrich Business Chamber in Oudtshoorn. Visions on the future new pathways in the interpretations of ostrich leather was the theme of the workshop presented by Mr. Kruger. With this enlightenment, students were quickly to connect the dots to see ostrich leather as a new medium of expression. They were given the opportunity to develop a concept and a capsule collection for their final year projects in this unique avian fibre supplied by the SAOBC. Apart from an exciting new medium to test, design students also stood the chance to win a cash prize and a trip to South Africa to visit the industrial production of ostrich leather and the local luxury goods market. Their projects were adjudicated by a specialist team. Marina Ogrizovic from Serbia and Hidayet Zeynep Engin from Turkey, won the first prize with their project Stardust. The projects of the selected ten finalists are now being exhibited at various leather exhibitions and fashion shows in Europe and South Africa. The SAOBC launched an awareness campaign aimed at leading fashion design schools in Milan and Liverpool in 2008. The lecturers and students were introduced to ostrich leather and receive thorough teaching about the character and application possibilities of this ‘new’ leather. 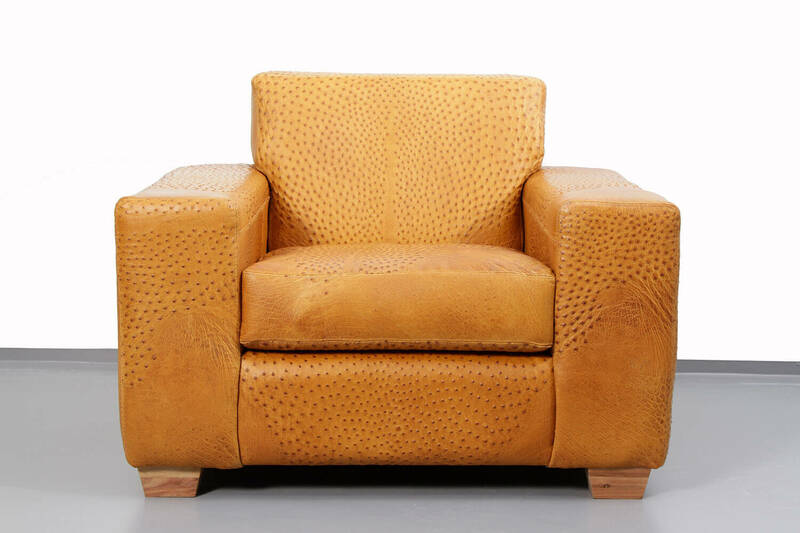 Although ostrich leather is a standard item on the order list of the world’s most exclusive fashion houses and manufacturers, there is still room to grow awareness of this richly textured leather. It is vitally important to introduce ostrich leather to young designers. “Thus far three schools have become part of our campaign and agreed to include ostrich leather in the curriculum for senior students. The prerequisite being that students use ostrich leather in at least one garment or fashion item such as a handbag or a pair of shoes for their final examination. The SAOBC supplies tanned, dyed South African ostrich skins in various colours and different finishes to these schools. A representative of the SAOBC is part of the final adjudicating panel on graduation day,” said Anton. In 2008, the first Italian design institute that participated in a joint venture with the SAOBC was Ars Sutoria, also in Milan. The fourth block of final year students created a mini collection of handbags and shoes in ostrich leather. Having kept an eye on their predecessors for the last three years, the students are now much more familiar with ostrich leather and their work shows their understanding and exploration of the medium. The young designers, who are honing their talents and skills at the world’s foremost fashion schools, are the link to finding new pathways in the interpretation of ostrich leather. They are the next generation to help spread the luxury code of ostrich leather to the next generation of users of ostrich leather,” said Anton. © 2019 SAOBC. All Rights Reserved.